The Most Terrifying Words In The English Language Are: “ I’m From The Government And I Am Here To Help You” Palm Bay resident John “ROGUE” Herlihy went to the Sturgis Motorcycle Rally in South Dakota this past August like he has numerous times in the past. “ROGUE” as he prefers to be called was inducted into the Freedom Fighters section of the Hall of Fame in2005 due to his commitment and dedication to protect the rights of those who ride motorcycles, something he has been doing for almost 50 years. Originally from Bridgeport, Connecticut he became involved in motorcycle rights when the city attempted to ban motorcycles from the city parks. He joined the Fairfield County Motorcycle Association when invited to do so by the owner of the local Harley-Davidson dealership. The Association was successful in overturning the ban. In the 1970, when the National Highway Transportation Administration tried to Blackmail States into passing five laws with the threat of withholding highway funds if they did not pass one of the following laws a year. Those five laws were a Mandatory 55 Mile per Hour Speed Limit, Mandatory Seat Belt Usage, Uniform 1.4 Blood-Alcohol content, Licensing School Bus Drivers and of course the Mandatory Helmet Law for motorcyclist. The 55 Mile Per Hour law was tried and the citizens of this country were just not going for it so then they tried the seat belt law and that did not go over to big either. Well they finally got around to the motorcycle people figuring that was going to be an easy law to pass and enforce. They were wrong. Motorcyclist from all over the country started to band together to fight the Helmet laws. In, the Connecticut Motorcycle Rights Association was formed. The motorcyclists in Connecticut were successful in getting a Mandatory Helmet Law Repeal bill passed by their House in 1976, and the Governor at that time was Ella Grasso. She stated to Rogue, that she was afraid of losing Federal Highway Funds if she signed the bill and if he could remove that threat she would sign the repeal. Rogue appeared before the Federal Transportation Sub-committee in our Nations Capitol and when Rogue explained he was from the Constitution State and he wanted to know when the Federal Government started condoning Blackmail and Extortion, you could have heard a pin drop. The chairman told Rogue you better have a good reason for asking that kind of question to which Rogue told him what Ella said. He also stated he had seen the letter to her from the Federal Government. The chairman wanted to see a copy of the letter which was there the next morning, presented to the committee. Rogue WON. Money would not be withheld from states not passing these laws. This allowed all the states with pending legislation to repeal the mandatory helmet laws. Ella was good to her word and signed Connecticut’s Repeal Bill. Connecticut, to this day, does not have a Mandatory helmet law for those over 21. The CMRA was run by Donald “Pappy” Pittsley with the sponsorship of the Connecticut Motorcycle Dealers Association. Rogue became good friends with Pappy. Pappy’s job was to work through the legislature. Rogue’s was to put on Helmet Law Protests. He became very good at doing that and was soon assisting other states in doing the same. Lou Kimzey, publisher of Easyriders motorcycle magazine, contacted Rogue and asked him to start writing about what was going on around the country. Lou Kimzey and then associate editor, Keith “Bandit” Ball got together with motorcycle rights leaders throughout the country and started the organization ABATE. Rogue is one of the founding members. After repealing Connecticut’s Helmet Law Rogue moved to Melbourne and opened a motorcycle shop on US1. Here he, Ted & Connie, Big Mac & Judy, Jerry Perkins, John Dean and a host of others started Spacecoast ABATE. That organization was successful in getting a repeal bill through the House and Senate of the Florida Legislature only to be vetoed by Governor Bob Graham who had previously given his word to Not Veto the Bill. Many years later the state of Florida decides to give motorcyclist over 21 the right to decide what was best for them providing they had medical coverage. Rogue is still very active in fighting for motorcycle rights and is a lifetime member of the American Motorcycle Association (AMA), ABATE of Florida, and Harley Owners Group (HOG). He is also a member of the Motorcycle Riders Foundation and BRO. He is a past certified motorcycle safety instructor with the Motorcycle Safety Foundation. After working many years as a motorcycle mechanic, Director of Research and Development for Melbourne motorcycle manufacturers, American Motor Works, and later as a supervisor of the motorcycle manufacturing company, American Quantum. His own company is called Rogue Motorcycle and Event Photography in Palm Bay. He also does product testing and research and development for numerous companies in the motorcycle field. He laughs when he says “I may be good at a lot of things but I can still only ride one motorcycle at a time”. Rogue and I go back many, many years. We first met in 1975 and our paths crossed again in the late eighties when I moved to Florida, this time for good. He is always looking for the young bloods who can this keep up. 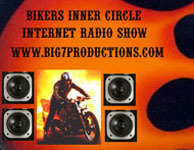 Contact him at his website www.bikerrogue.com and see for yourself how an original freedom fighter works in a new age. Don’t ask how you can help unless you really mean it. Support those who live to ride and ride to help you. Some of us have been doing this for a life time.